Rolling proof that less really can be more. 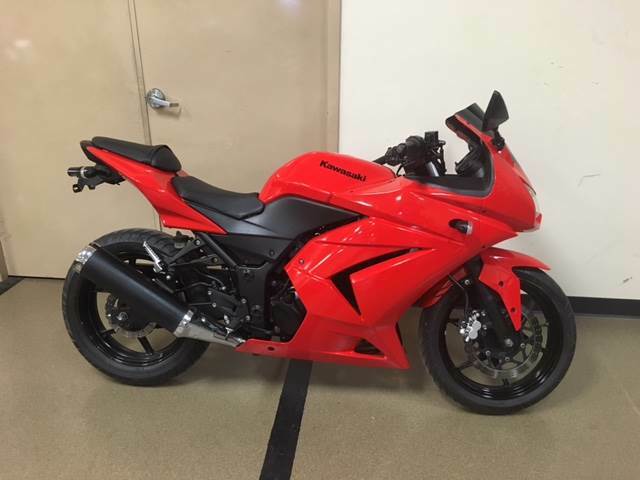 The Ninja® 250R has always been a great place for beginning riders to get started, but modern sportbike technology means the littlest Ninja is a great choice for more experienced riders as well — especially ones experienced at getting the most for their motorcycle dollar. While its twin-cylinder engine might be small, light and compact, its eight-valve head packs maximum power into every rpm. The 250R screams Ninja performance, from its sleek full fairing and 17-inch wheels, to its Uni-Trak® rear suspension and triple petal-disc brakes.